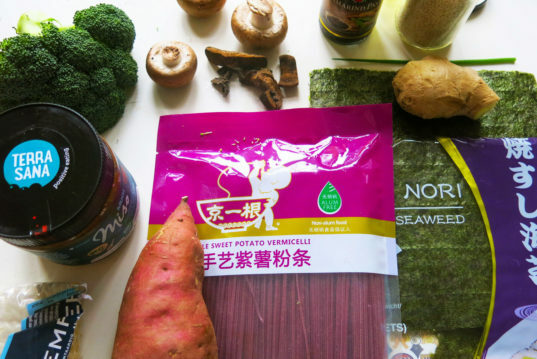 While looking for gluten-free options at the local Asian supermarket, we stumbled upon brilliant purple noodles made from sweet potatoes. 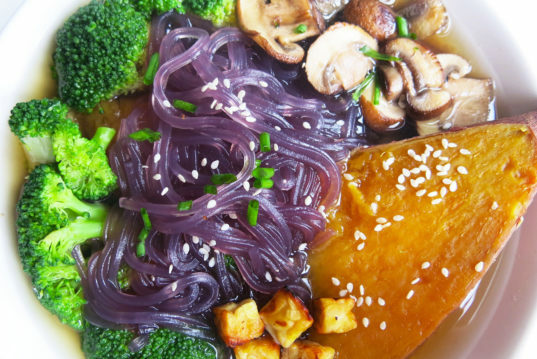 We couldn't resist them, so we bought them and incorporated them in a delicious and super healthy, miso soup with sweet potato noodles, mushrooms and broccoli florets. 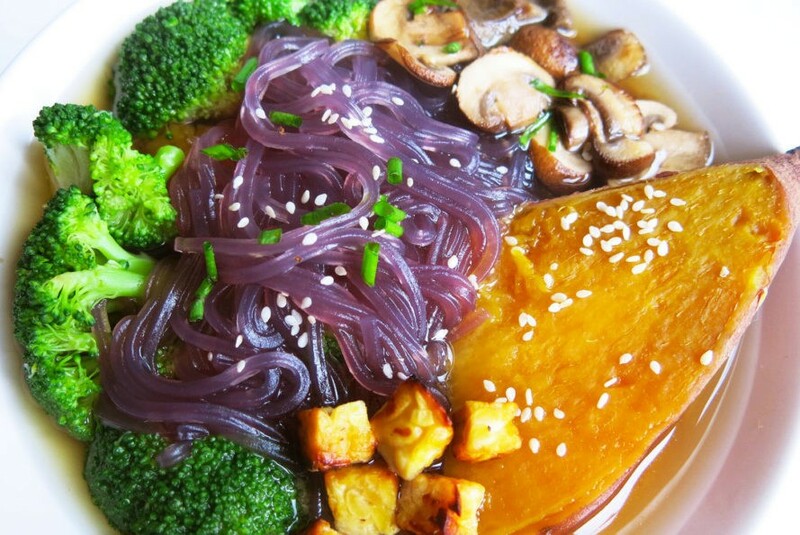 To accentuate their mild taste we added chunks of sweet potatoes, spring onions and a garnish of sesame seeds. You can also make this soup with rice or pea noodles, or any curious noodle-flavors you can find in Chinatown, the Asian supermarket or even online. 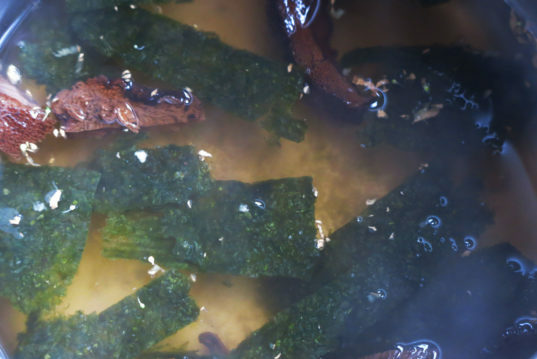 In a large, heatproof bowl or pot combine grated ginger, nori pieces, dried mushrooms, and boiling water. Cover and let steep for about 20 minutes while you prepare the rest of the ingredients. Cut the sweet potatoes in half, horizontally, and boil until tender. 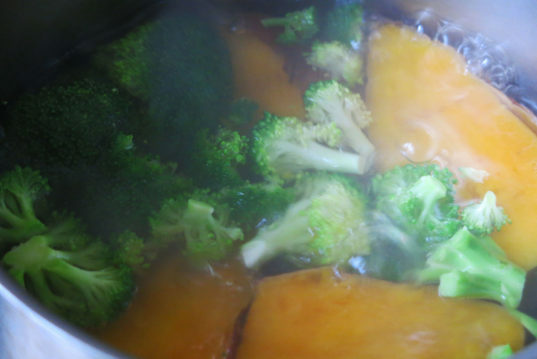 Cut the broccoli in small florets and boil together. Drain and set aside. 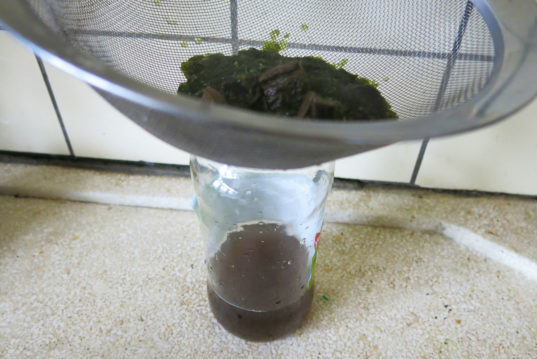 Carefully strain the broth, discard the algae and dried mushrooms and set aside. 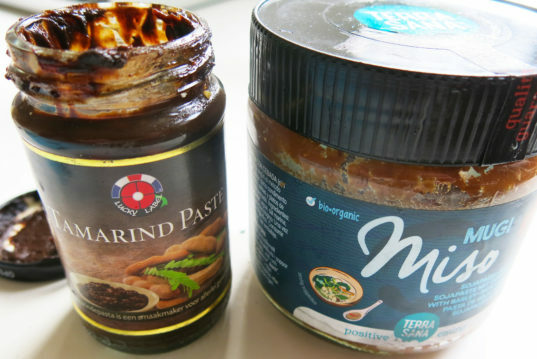 Add boiling water into a pan and some generous spoonfuls of miso paste (we prefer organic) and tamarind sauce. Stir for a few minutes and add the broth, the amount is up to you. 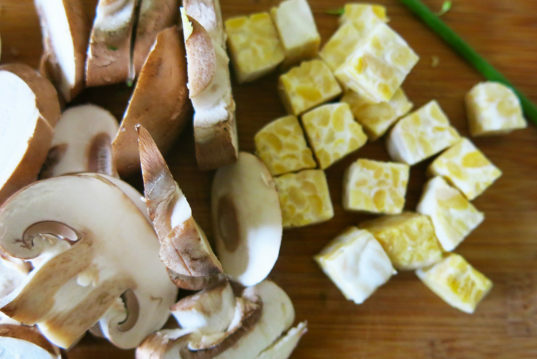 Cut the tempeh (or tofu) into small cubes and cut the mushrooms into slices. Sauté the tempeh in a pan with sunflower oil and a pinch of salt. When they are almost ready, add the mushrooms and cook until golden brown. 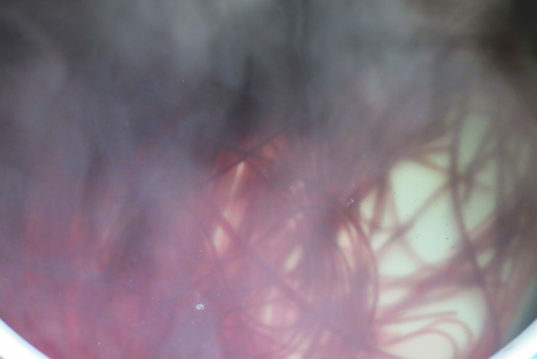 Cook the sweet potato noodles according to the package instructions, rinse and set aside. 8. Make the noodles bowl! Get a deep large bowl and add miso soup. Don’t fill it to the top, leave some space for the noodles, sweet potato chunks, sautéed mushrooms, tempeh and broccoli florets. Garnish with chopped spring onions and black or white sesame seeds. Get a deep large bowl and add miso soup. Don't fill it to the top, leave some space for the noodles, sweet potato chunks, sautéed mushrooms, tempeh and broccoli florets. Garnish with chopped spring onions and black or white sesame seeds.